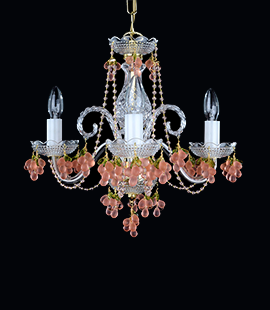 Maria Theresa chandelier with gold metal finish, 12 candle bulbs, cut crystal almonds. This stylish chandelier is very affordable, ie. ratio Price / Size and its light output. 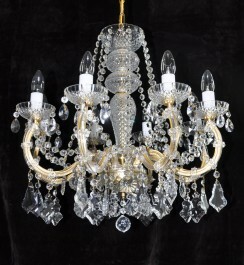 Cost effective Maria Theresa crystal chandelier with gold metal finish (polished brass). Polished brass tubes covering el. sockets. The glass body and bobeches are made of quality pressed crystal glass. Flames 12, total 12 bulbs i.e. 12x bulbs E14, 40 Watts. 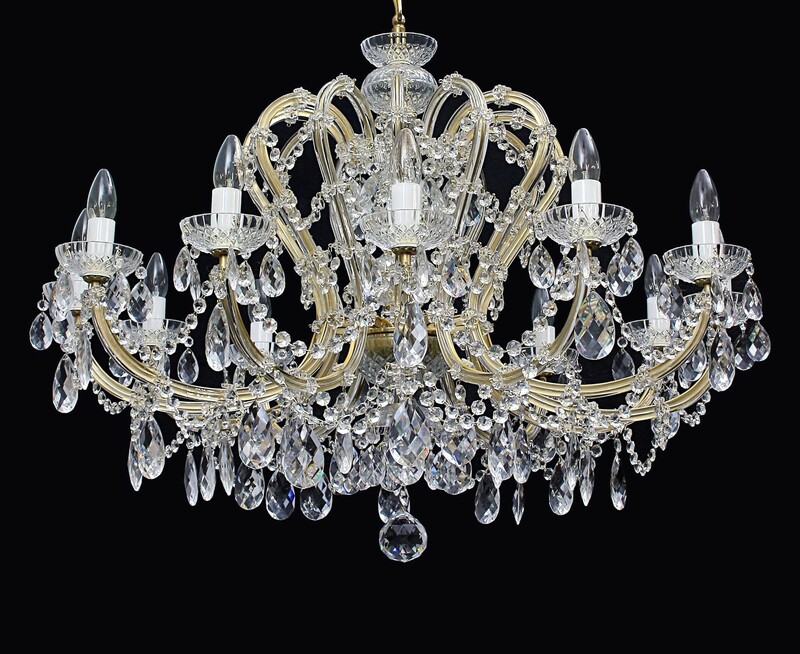 Dimensions (W x H): 94 x 78 cm/ 38.4"x 31.8"
You can order metal finish: Silver (nickel coated brass), Gold Brass, or brown stained antique brass.This chandelier can be ordered with almonds or flat crystal Pendeloques.